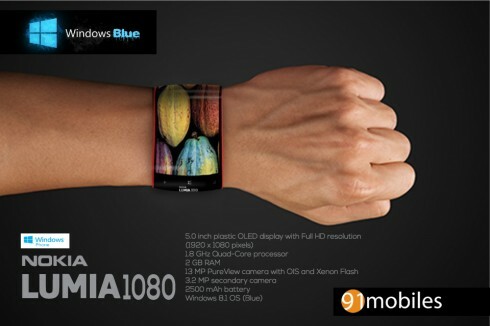 It appears that bracelet phones are popular lately, for some reason… One of them is the new Nokia Lumia 1080, pictured below and made by 91 Mobiles. We’re dealing with a watch-like device that features a 5 inch plastic OLED display. 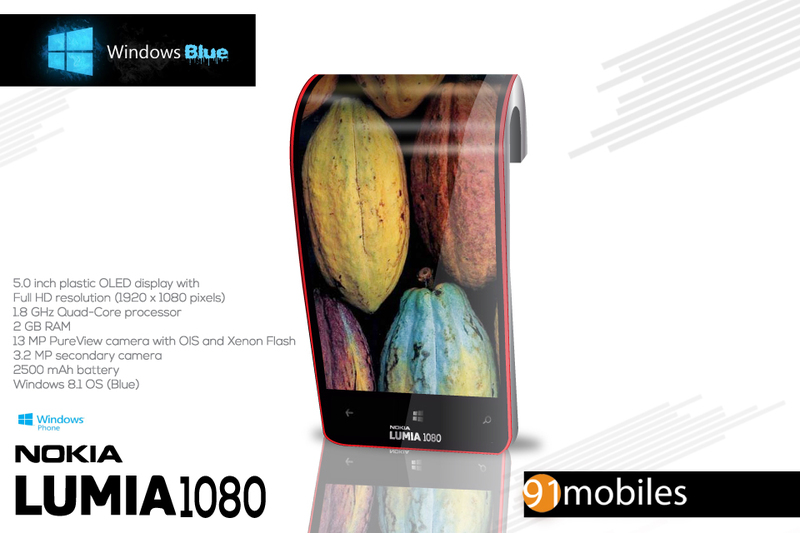 Nokia Lumia 1080 supports a Full HD resolution and relies on a quad core processor with a clock speed of 1.8 GHz. There’s also 2 GB of RAM, a 13 megapixel Pureview camera with OIS and Xenon flash and a 3.2 megapixel front camera. Inside there’s a 2500 mAh battery and the OS here is Windows Phone 8.1 Blue. 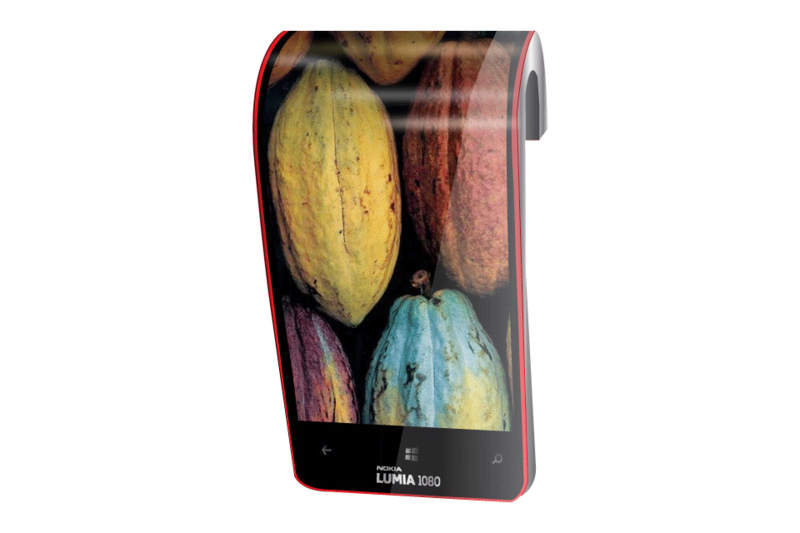 The device is reasonably thick and seems to be based on metal and glass, judging by these renders. I’m not sure if this Nokia concept can bend or not, but it’s very likely. The lower part reminds me of the older Nokia models and I can see that the display extends over the curvature of the phone, which is interesting.